Take two expert fitness trainers, lift them out of the copy-and-paste methodology practiced by expansive corporate gym milieus, place them in a spacious warehouse an easy drive from DT Laguna, tell them their dreams of tailoring more intimate trainer-trainee workouts is realized, and name the gym Prevail -- well, that’s exactly what is set in this thriving gym atmosphere. The two gym-life gents we’re referring to are Jack Ryan and partner and co-owner Ryan Haley. A bit about these two before they lunged at Prevail: originally from Colorado, Ryan swung at a few scholastic baseball opportunities including playing for UC Irvine, later giving the police academy a shot with his criminology degree before the physical health and wellness life became him. And Jack, a perfect fitness collaborator for Ryan, studied Kinesiology at CSU Fullerton later applying his knowledge as a physical trainer at a fancy, yet overpopulated gym where the two met. This burned ideas into Jack’s fantasy about a different type of gym, one he could call his own where he had the one-on-one setting he knew his clients could lean toward. Another detail Ryan pointed out that often fails members at larger gym environments is the frequent use of gym equipment -- essential tools necessitated by members for the upkeep of their personal programs and schedules. Without them, clients go astray from their workout schedule, faltering in the results they originally desired. Through the array of flaws Jack and Ryan encountered, they curled up the ultimate formula for what it takes to run a successful, well-managed gym where their clients could receive the results they desired. All they needed now was someone as like-minded and health-oriented as they were to buff out the details. Que Mohammad Honarkar (Mo to his friends) -- a Laguna Beach native, enthusiastic entrepreneur, and a firm health and wellness advocate. “Mo, who has been my client for eight or nine years, asked me if I would be interested in opening a gym down here in Laguna,” Ryan said. 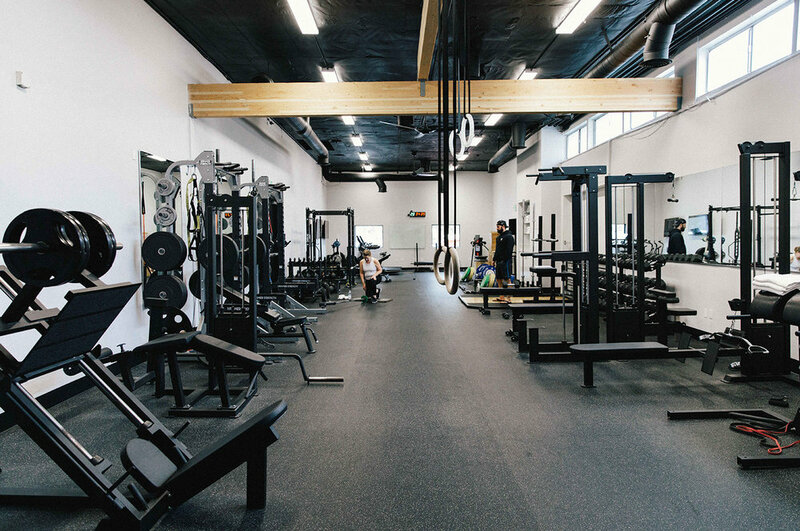 “I came down to look at a building he recommended, and started putting ideas together for creating the gym space.” One year later, Laguna became the official home to Prevail Strength & Conditioning. Squatted within Laguna’s “Art Lane” hugging highway 133, Prevail is a quieter, trainer-to-member setting where conversations about sleep and nutritional habits are regularly topics of discussion. It’s a place where trainers concentrate on the movements of their clients during workouts, and where individualization of workouts is so finite that no two members relate identically in terms of workouts and personal wellness. A brief word of forgiveness is in order if what has been said about Prevail is painting a picture of a gym frequented by the timid or malnourished. Contrarily, Prevail is an institution reinforced on a foundation that believes in fashioning the best possible lifestyles regarding health and fitness, run in no way by dumbells. That being said, when visiting the Prevail HQ, expect to see Jack or Ryan training six to eight competitive youth athletes from local schools, coaching accomplished business owners and philanthropists, encouraging retired professionals, and the like. And if you’re an average Joe gym-goer, don’t sweat it. Jack and Ryan give equal devotion to all of their members -- and they actually care. Normal questions they’ll ask entail details about your medical history, any heart conditions or high blood pressure, if you’re on medication, experiencing joint pain or have a history of injury, how often meals are prepared at home, how often you’re eating out, if there are any digestion issues, how much alcohol is being consumed, the average hours of sleep you get, the quality of sleep, the consistency of sleep… you get the picture. What separates Prevail isn’t their ability to junk the cookie cutter corporate gym nomenclature, tossing out workout trends seen on Instagram, remove the two-a-week gym class routines, or any other bad influences that gym members often spot. Rather, what makes Prevail great is that they know who you really are, and are there to make you the greatest possible version of yourself. In other words, if Prevail were a bodybuilder, they’d be yoked on making you, you. Born and raised on the salty shores of California’s coast, Manny Frausto is a staff writer at Laguna Beach Living and has been seen pumping iron on the keyboard journalistically for the LA and OC Register, OC Home Magazine, and more. Reach out to him at manny@lagunabeachliving.com.